After 5 years of being out with a knee injury, Jon Michael returned as a last minute surprise entrant into the 2018 $10,000 Royale Challenge Battle Royal, and became victorious after eliminating The Office's own Michael Jablonski in a surprise twist of events. 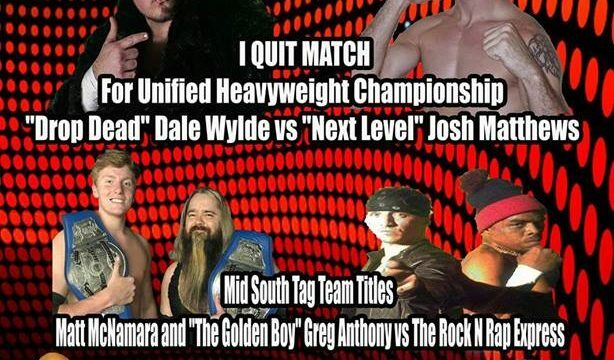 But now the question stands, when will Jon Michael get his Unified Heavyweight Title Shot? 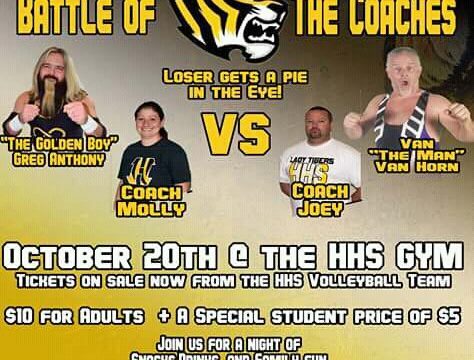 Pro Wrestling Mid South Presents Tiger Madness, A Halls High School Volleyball Team Fundraiser, October 20, 2018, Halls High School Gym, Bell Time 6:00 PM, $10 For Adults $5 For Students. Pro Wrestling Mid South Presents Winter Wars, February 3, 2018, Alamo, TN Community Center, Doors Open 6:30PM Bell Time 7:30PM, General Admission $5 Ringside $8 Front Row Ringside $10. Josh Matthews takes on El Amigo Loco, Semi main Event consists of KoKo Anderson facing off against "Black Hand Rider" Brandon White, and the main event of all time, Van "The Man" Van Horn partners up with Bill "Superstar" Dundee as they take on "The Russian Wrecking Ball" Meklakov & "Dangerous" Doug Gilbert, as you can see it will be a night full of pro wrestling action, stars, and legends.